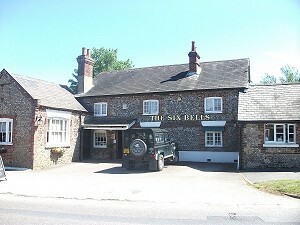 The Six Bells at Lyminster is a charming old coaching inn renowned for its superb food and great atmosphere. The original features of this 300 year old Sussex flint building have been retained. It is conveniently located in the delightful village of Lyminster, close to the historic town of Arundel and the seaside resort of Littlehampton. Also convenient for Fontwell and Goodwood race courses. We offer interesting and comprehensive menus from a range of bar snacks to a full and a la carte and traditional Sunday lunch. All our dishes are prepared and cooked on the premises using only fresh ingredients sourced locally where possible. Our well stocked bar offers a wide selection of ales, lagers, spirits and fine wines. 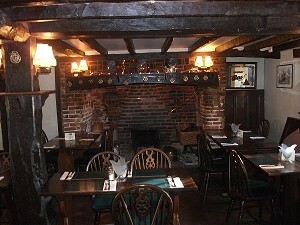 There is a cosy log fire in the winter or in those summer months, why not enjoy your meal in our large welcoming beer garden? As you'll see when you come to visit us, the pub has been careful to retain it's authentic appearance with original beams and features. With exclusive use of our flint barn function room, special occasions can feel secluded in their own environment and are just the place for an anniversary, wedding or birthday. It is also ideal for small conferences and meetings. The Barn opens onto a large patio area, making it ideal for marquee events. From all the team at The Six Bells, we hope to see you soon!